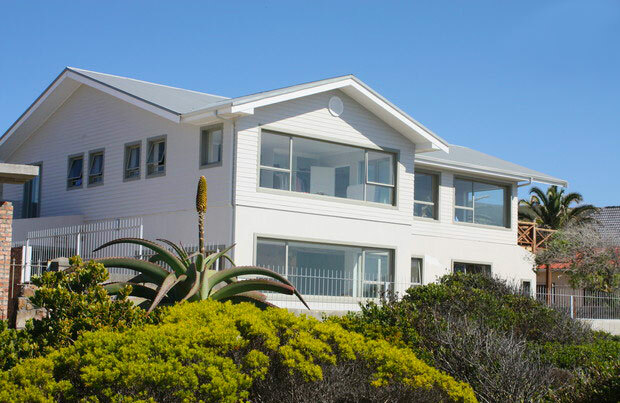 Welcome to our seafront villa, situated on the famous Cliff Path in Hermanus. 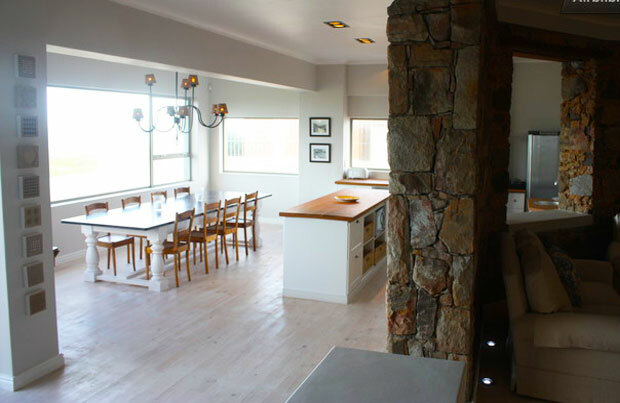 The house was built in 1924, and we have recently restored it to its original former glory – combining the historical features, such as huge stone walls with modern finishes, giving it style and ambience. We believe we have created something which fulfils our dream – a great house in a perfect location – one which suits groups of friends, golfers or business groups. 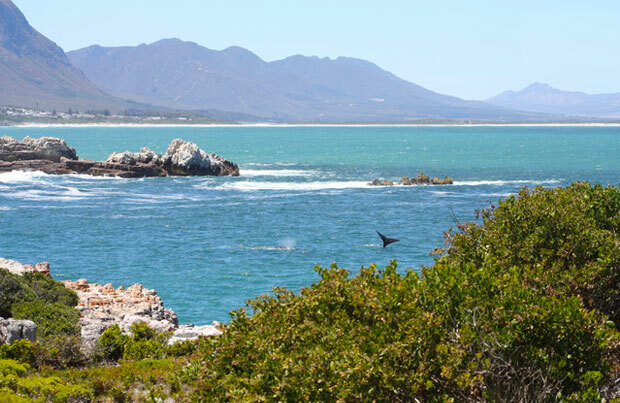 It has magnificent views into Walker Bay, where some of the best land based whale watching in the world takes place. If you listen carefully, you may even hear the whales playing just outside of your room! 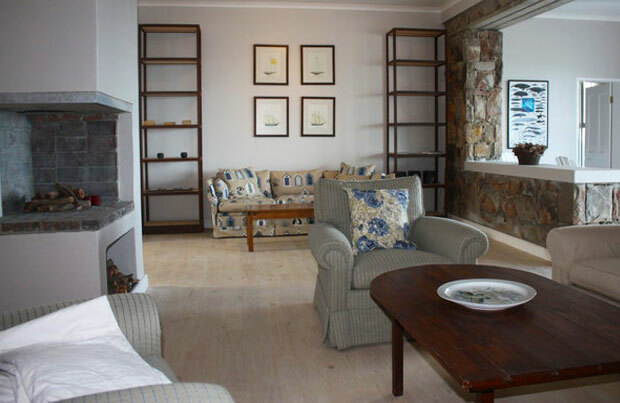 The main house has a very spacious living area, its own catering facilities, and two bedrooms en suite. 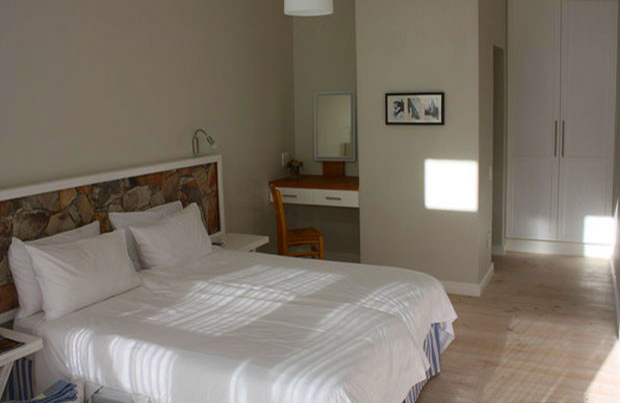 There are a further 4 double rooms en suite in the courtyard – in total we can comfortably accommodate 12 persons. But do not worry, you only pay for the bedrooms you need. There is a beautiful courtyard garden off of the pool area for your enjoyment. For your privacy, we will only allow one group in at a time. We, Eva and Magnus live in our own separate flat upstairs and will most likely not be there when you are visiting. We look forward to welcoming you in the near future! A wonderful villa with a stunning view. 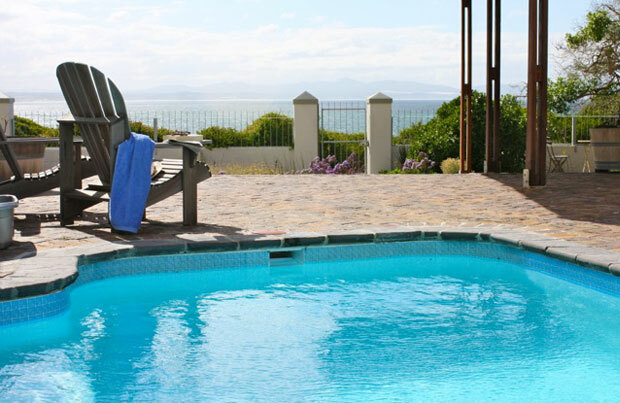 Nice pool area, close to vineyards and golf. Best of all, the nice walk, seaside to town and beaches. We will be back! - Eva V, Sweden.